wow, great choice for today. 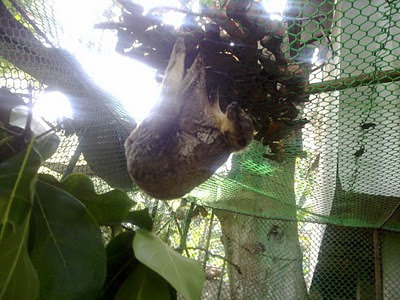 I thought that the local government has already disallowed individuals to put these flying lemurs in captivity. I really pity this guy..I hope it gets released soon. they don't actually live longer in captivity. Great capture though. happy weekend! Talk about miss-named! I'd have called it a sloth. I've never really seen such a thing. Cool! Great shot and perfect for the theme. Happy weekend. first i thought it's a pitcher plant or the rafflesia because of its shape. but it's not. nice choice! nice shot and great choice for the theme. I haven't seen a lemur yet but I think I'd be scared if I saw any. Sure, it's a hanging one. How cool! I love seeing creatures I've never seen before. Love your take on the theme! Oh... So it's call lemurs. Thanks for dropping by. He is a curious creature. A nice one for the theme.